Leenane, Co. Galway, near the fjord that divides Galway and Mayo. 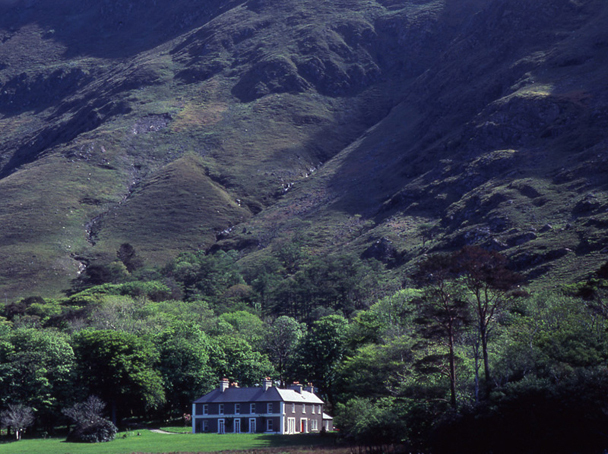 Photo: Jim Fennell for Tourism Ireland. Patricia Danaher explores the high season of Galway City and the delights of the western landscape. The west of Ireland has a quiet magic at most times of the year, a tranquility that sneaks up on you, making tomorrow the soonest you could possibly consider doing what you were fully intent on doing today. It’s not that things don’t get done, it’s just that you’re on a different clock and things happen in more indirect ways, at a pace of their own. 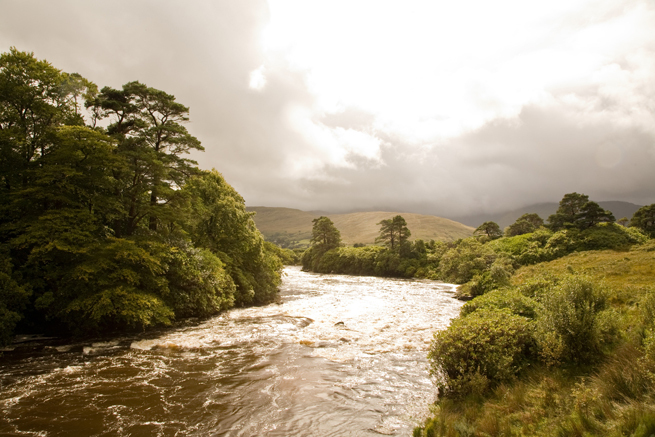 The great exception is Galway City, which bustles for most of the year as a mecca for lovers of culture and sport. 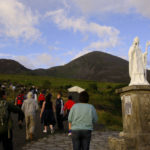 July is the month when the city truly comes into its own, hosting the culmination of the international Volvo Ocean Race, the annual Film Fleadh, the Galway Races and the Galway Arts Festival. 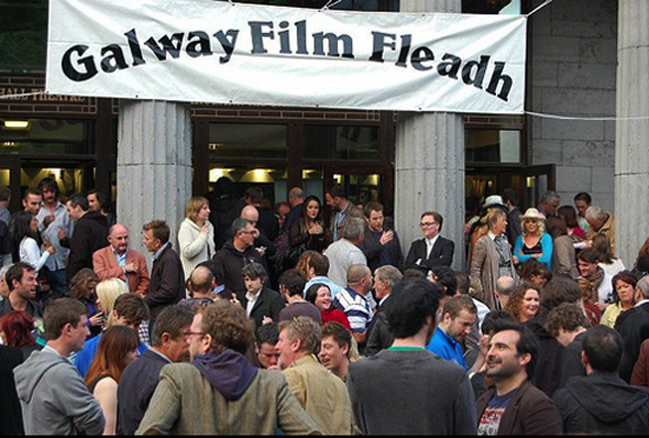 We arrived in the city at the pinnacle of the summer season: the day before the 24th annual Galway Film Fleadh opened and two days after the Volvo Ocean Race, the success of which seemed to have Galwegians walking on cloud nine. There was even more to celebrate, as the Film Fleadh had just been accepted by the American Academy of Motion Pictures as a qualifying festival for films vying to be nominated in the Oscars’ short film category. 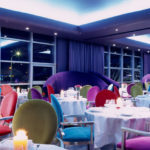 Galway offers a wide array of accommodation, and we decided to check out the g, a quirky and somewhat flashy 5-star hotel just outside the city. 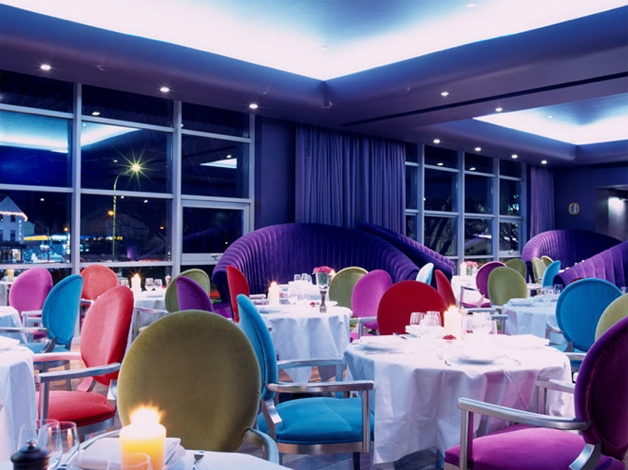 Built at the tail end of the Celtic Tiger years, it was designed by milliner Philip Treacy, and has several idiosyncratic touches. The corridors are dark and have the feel of a bordello, but the rooms are bright and spacious and overlook the bay. The gigi restaurant is a gem, with excellent local food and very friendly service. It also features an impressive wine list. The highlight of the hotel for me was the spa, or the Espa, as it’s called, which deserves every award it has won. With dark stone, dim lights and an array of water treatments and features, it can either be delightfully romantic or revitalizing, depending on what you need. It’s easy to see why it is particularly popular with sports people and honeymooners. Leaving the busy, uber-modern g and driving through Connemara was a refreshing contrast, as time slowed down again after the hectic pace of Galway City. 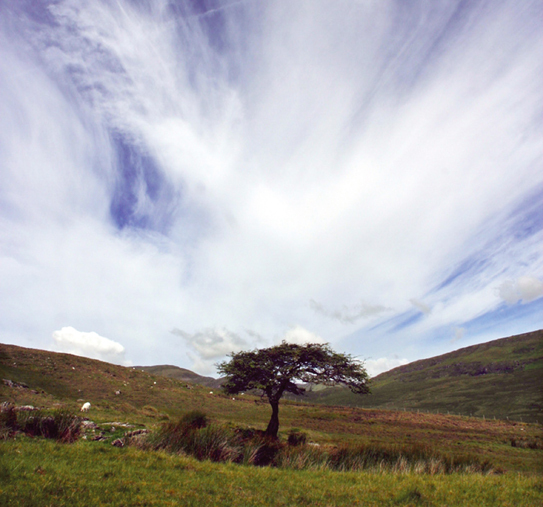 The mercurial west of Ireland skies do their Dance of the Seven Veils many times a day, revealing luscious light and the verdant topography of County Galway, then casting moody shadows that display the wares of the countryside in a totally other aspect. 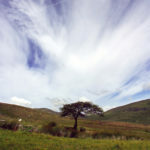 It is a landscape that is at once highly dramatic and deeply restful. 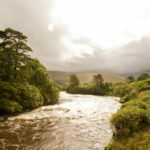 Largely uninhabited, Connemara combines gorgeous lakes and silent mountains, with an ever dwindling population of indolent sheep. The Maamturk Mountains and the glacially carved Twelve Bens make you catch your breath, as the sun and the clouds dance over the sepia boglands. 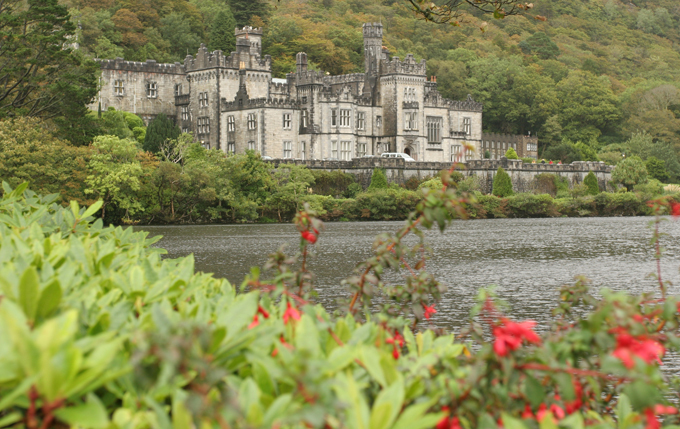 We made our way towards the enchanted Kylemore Abbey and Gardens, stopping en route for tea and scones. 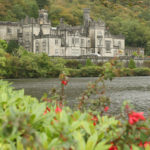 The Gothic Abbey was built as a private home in the 1860’s by Mitchell Henry, after he and his wife fell in love with the area while visiting on their honeymoon. The Abbey was handed over to the St. Benedictine nuns in the 1920’s, and it was a girls boarding school until relatively recently. There are nuns still in residence, but much of the grounds are open to the public and the gardens are magnificent. 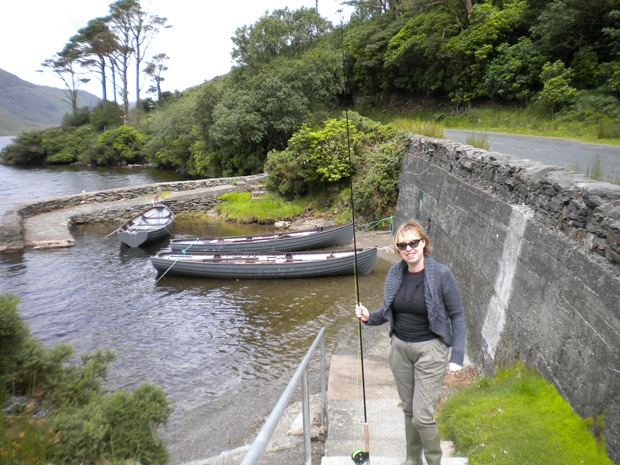 At Leenane, where Jim Sheridan’s The Field was partly filmed, the fjord which divides Galway and Mayo along Killary Harbour is stunning, with its dark, fish-abundant waters reflecting the Maamturk Mountains. We had an exquisite meal of locally caught fish at the Portfinn Lodge , which offers the best views in Leenane of the fjord. 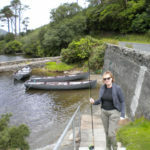 The high point of this trip was our stay across the fjord in Mayo at the Delphi Lodge, a spectacular country house and fishing lodge built in the 1830’s by the Marquis of Sligo. 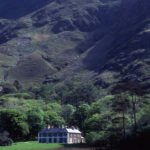 Tastefully transformed in the 1980’s into one of the most restful and elegant places to stay, by the former English journalist Peter Mantle, Delphi Lodge is rightly listed in the 1000 Places To See Before You Die best-selling book by Patricia Schultz. There are just 12 bedrooms in the lodge, none of which have locks, and the atmosphere in the house is more like that of a country house than a luxury hotel. Most of the people who we met there, from across Europe, return at the same time each year to relax and fish the bountiful lakes for salmon and trout. For the non-fishing spouse, there is a well-stocked, eclectic library overlooking the lake, and many lovely places to walk or just sit and read. There is also a spa next door. 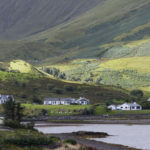 As you head further up the road into Mayo, it’s hard not to be struck by both the awe-inspiring beauty of the landscape, and also by the paucity of houses and habitation. This area was particularly hard hit during the Famine, and the desolation that was endured sometimes hits you when you turn a bend. These days, even the sheep are dwindling, as subsidies from the EU are discouraging farmers from breeding flocks. Emigration is again stalking the land, with young people heading for Canada and the U.S. once again, now that the Celtic Tiger has beaten a retreat. The pristine beaches outside Louis-burg, such as Silver Strand, are well worth taking a picnic to and lolling for a day. The lovely town of Westport, about 30 miles from Delphi, has many charms which have bewitched visitors for years. Matt Molloy of the Chieftains runs one of the most popular pubs in the town, where music is the chief currency. The iconic and doughty Croagh Patrick mountain towers over the town. 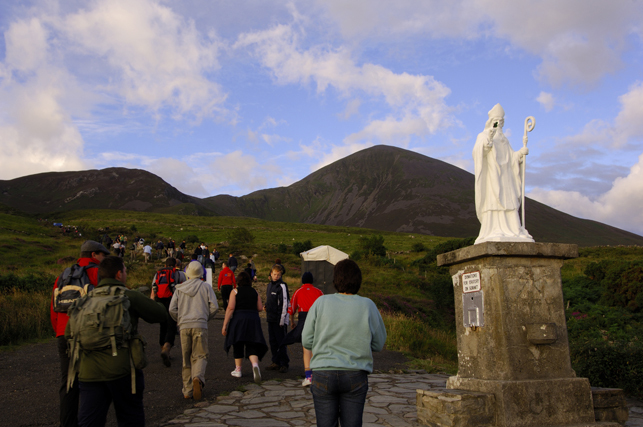 Its peak, where St. Patrick is believed to have fasted for 40 days, draws tens of thousands of pilgrims all year round. Evenings at the Delphi Lodge are enchanting. Residents gather for hors d’oeuvres and pre-dinner drinks in the lounge before sitting down to dine at the long communal table. Before plates of scrumptious, organic local food such as lamb or fish, there was friendly conversation about the day’s fishing and other activities, in multiple languages and accents. For the solo traveler, this is a welcoming and easy place to break bread. One woman from Carmel in Northern California who has been coming to the Delphi Lodge by herself, on the same week every year for several years, caught her first salmon, much to her joy and that of the Delphi Fishery’s fly-fishing instructor, Peter O’Reilly. She joked that it was the most expensive salmon in history! The Delphi Lodge is a very welcoming and low key place, and handles all the small details with exquisite attention. After dinner, a fire is lit in the lounge, where guests repair for chocolate truffles and digestifs, just short of purring with utter contentment. There is an immense depth of silence and serenity that surrounds the house and the lake which it faces, which makes the cares of the rest of the world seem very remote and really not that important. As we sunk into the four poster bed, which was once occupied by Prince Charles (did I mention we were on our honeymoon?) I sighed with pleasure and looked forward to one more day in paradise. 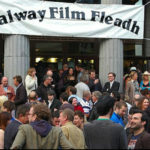 The Galway Film Fleadh has become a very important market place for European film and television producers, who attended in significant numbers again this year. It’s also become a magnet for international stars, and this year was no exception. The French actress Isabella Huppert was the guest of honor and a retrospective of her work was shown. Fionnula Flanagan was there too, along with Belfast composer David Holmes, who has scored many movies for David Cronenberg and other major Hollywood directors; actress Kate O’Toole; the indomitable Lelia Doolan and assorted luminaries from the Irish Film Board, including CEO James Hickey. Steve Woods from Pixar introduced a special screening of its latest offering Brave. Irish short films have done very well in recent years, with several nominated through the Foyle film festival, including this year’s winner, The Shore, and Martin McDonagh’s Six Shooter, which won in 2006. This year’s winner of Best Short Drama, which is now eligible for an Oscar nomination, was Andrew Legge’s The Girl With the Mechanical Maiden. Legge is currently directing the upcoming documentary on Irish silent movie legend Rex Ingram. Among the interesting array of Irish movies were two quirky documentaries: Lon sa Speir (Lunch in the Sky), narrated by Fionnula Flanagan, which won best Irish Feature Documentary. It tells the story of the two Galway men among the eight workers famously photographed in 1932, eating their lunch on a steel beam 800 feet above the Manhattan skyline. The two Galwegians were identified as Matty O’Shaughnessy and Patrick Glynn, emigrants from Shanaglish, Co Galway. The documentary, made by Sean O’Cualain, is a touching meditation on the immigrant experience. The iconic black and white photograph was taken by Charles C. Ebbets during the Depression. To mark the launch of the documentary, a son of one of the workers helped recreate the photo on a steel girder in Eyre Square. The second documentary, Art of Conflict, was made by Valeri Vaughn and narrated by her actor brother Vince Vaughn about the political murals that decorate the gables of many houses in Northern Ireland. Shadow Dancer was the highlight and the closing film of the festival. The edge-of-the-seat thriller, starring Clive Owen and Andrea Riseborough, is set in 1990s Belfast during the worst of the Troubles, and features a woman who is bullied into spying on her family for the British secret services.